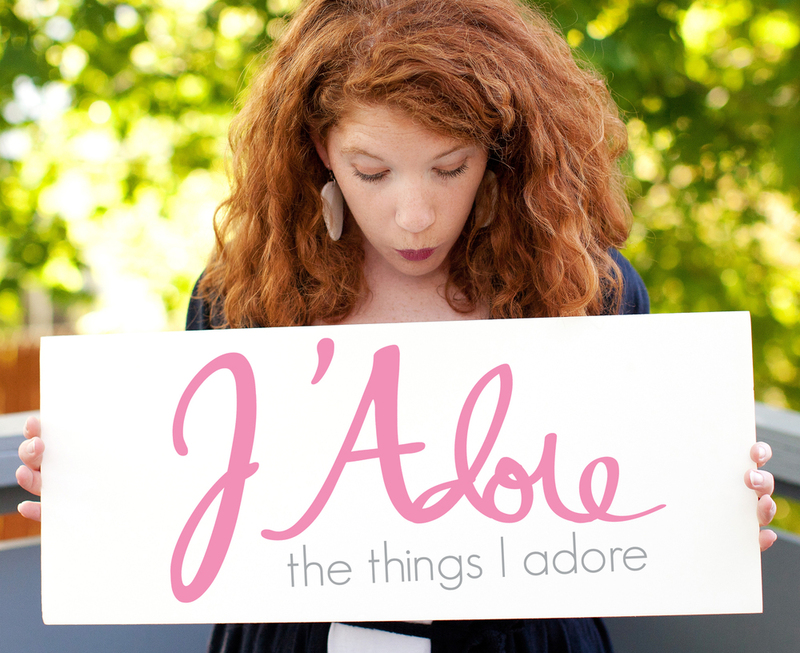 J'Adore : The Birthday Edition! I have a little secret... Today is my birthday!! Right now we are traveling home from WPPI, one of the world's largest photographer conventions, held in Las Vegas. No doubt it's been a week of learning, dreaming and of course EATING. I'm sure I'll have lots to share with you about our trip when I return to the blog next week! But, today, I couldn't help dedicating a J'Adore post to my ultimate birthday wish list. Why shouldn't I indulge in a little imaginary shopping on my birthday?! Won't you join me as I fill my invisible cart with these wonderful goodies?! I'm making a stop at some of my favorite stores! And if you're looking for a little belated birthday gift for moi, here's a cheat sheet;) Enjoy my ultimate birthday wish list, have a great weekend. I'll see you next week! 1. I've been coveting a Kelly Moore bag for a few years now. I love this version in camel! 2. These Tiffany earrings are just darling and I love them! 3. I LOVE all things Kate Spade and this iPad case does not disappoint! 4. Who knew that L.L. Bean made adorable accessories?! I discovered this clutch and it immediately made it's way onto my wish list! 5. 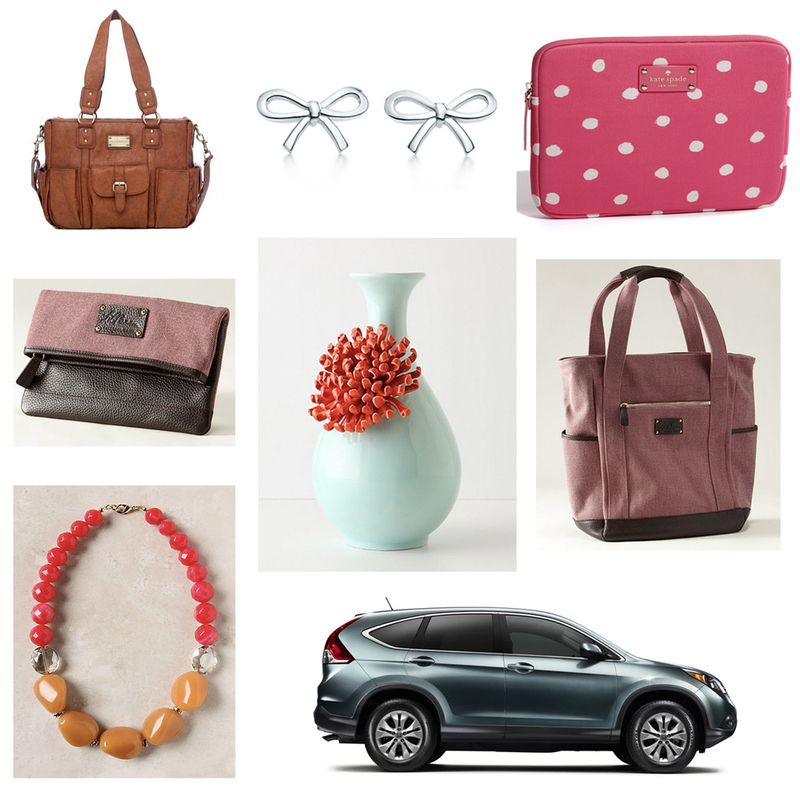 Of course Anthropologie would make it's way on this list! I've been desiring this vase for a few years. Wouldn't it be perfect for my red and white kitchen?! 6. I'll add the matching L.L. Bean purse! I'd love to have an everyday tote like this! 6. I love this chunky necklace from Anthropolgie! Love! 7. We'll most likely be replacing my used CR-V with a new used CR-V this year. But I couldn't help this money-is-no-option addition to my ultimate birthday wish list!